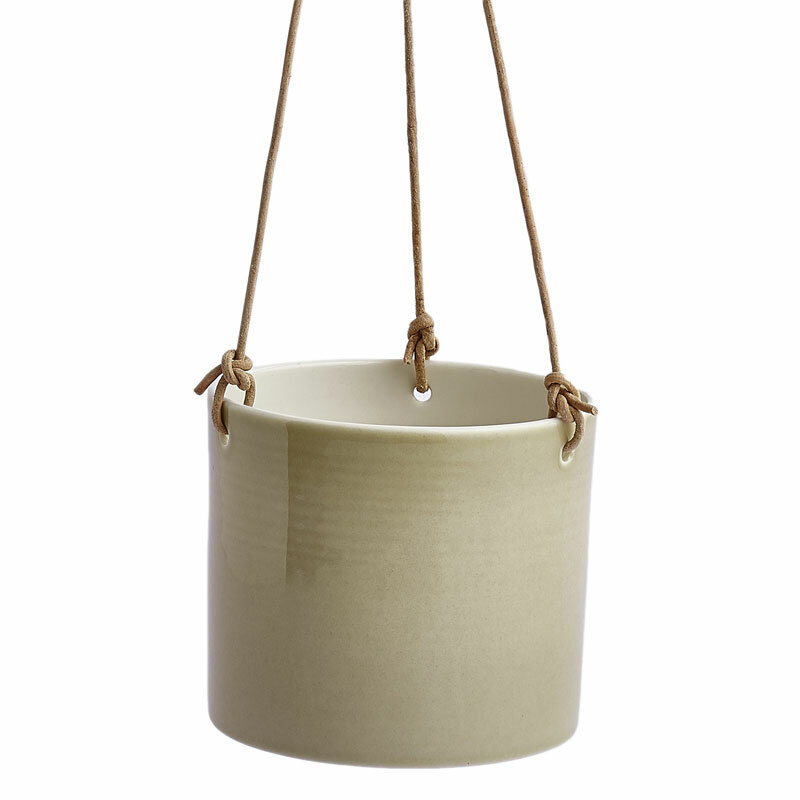 This contemporary hand-thrown hanging planter is 100% handmade in the workshop of the Danish ceramist Anne Black. The Grow pot comes supplied with a natural leather trap perfect for bringing green plants to a small space. 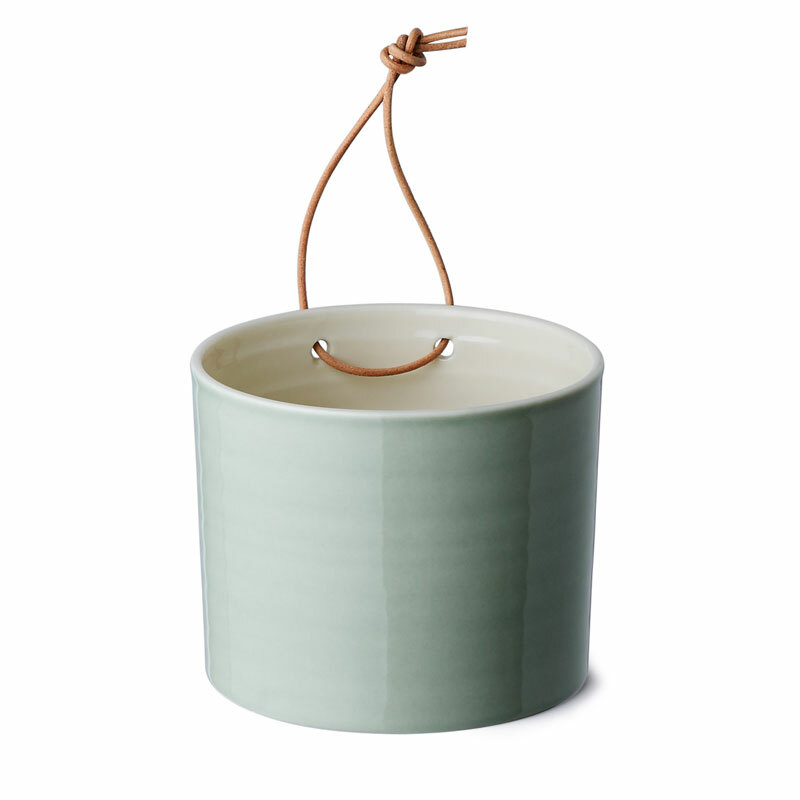 The hand-thrown porcelain flowerpots `Grow´are hung by natural leather string. Sizes: Small: 9 x 8 cm, medium: 11.5 x 10 cm. Please select from the above pull-down menu. Anne Black is a Copenhagen based ceramicist whose career revolves around her devotion to applied arts & craftsmanship. Her excitement of working hands-on with the clay was initially inspired by studying ancient Chinese porcelain in school. After graduating from the design school in 1996, she worked in various collective pottery workshops in Copenhagen, creating her porcelain objects, which combine Scandinavian design and craftsmanship, into functional handmade porcelain pieces.